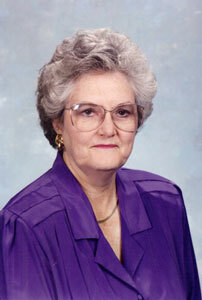 COLUMBIA, S.C. – Katherine Bland Sawyer, 87, of Columbia, passed away Saturday, July 13, 2013, at Providence Hospital. A native of Johnston, SC, she was married to Shep Sawyer for 53 years, who predeceased her in 2001. She was also predeceased by her parents Jule and Snow Jeffries Bland. She is survived by her son and beloved daughter-in-law, Shelton and Judy Sawyer of Marietta, Georgia, and her daughter and son-in-law, Katherine Cooner Bailey and Dennis Bailey of Spartanburg. Also surviving are three grandchildren, Elizabeth Cooner of San Antonio, Texas, William Cooner of Rock Hill, and Sarah Methvin and her husband Gordon of Spartanburg, one brother J.P. (Jule) Bland, his wife Ann, and several nieces and nephews in the Bland family. There are many loving friends who shared their lives and supported Katherine throughout her final days. Katherine, born May 10, 1926, graduated from Winthrop College in 1947 and earned a Master’s Degree from USC in 1975. She taught at Brennan Elementary for nine years and served as Headmistress of Hammond Academy Lower School for twenty-five years where the library is named the Katherine B. Sawyer Library. Formerly President of Alpha Chapter of Delta Kappa Gamma educational sorority, she was also a member of Eastminster Presbyterian Church and was active in its Circle #2. Being very active in her community, Katherine loved playing bridge with The Bridge Club and other groups of ladies and friends. Her enduring love of children was reflected in her career and family throughout her life. During their retirement, she and Shep enjoyed RV camping at the beach and in the mountains, making many new friends along the way. A graveside service will be held Friday, July 19, 2013, at Mount of Olives Cemetery in Johnston, SC, at 11:00 am. Visitation will be at 3:00 pm followed by a memorial service at 4:00 pm at Eastminster Presbyterian Church in Columbia. SC. In lieu of flowers, memorial donations may be made to the Eastminster Presbyterian Church, 3200 Trenholm Road, Columbia, SC 29204. Bland Funeral Home of Johnston, SC is assisting the family with arrangements.